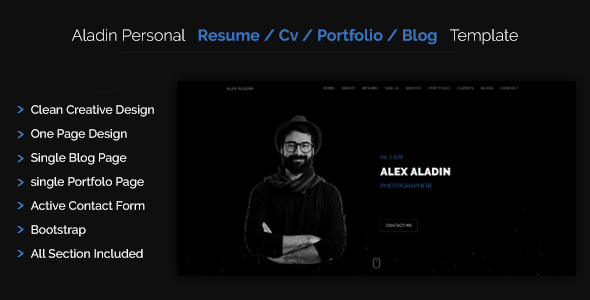 Aladin is a Creative Modern Resume/CV One Page Template is a perfect template for freelancer,Individual, photographer,web designer/developer. Responsive based on Bootstrap. This is one page with single blog page and single portfolio page including all section to built a beautiful website. All files and code has been well organized and nicely commented for easy to customize.